Gray polo shirt with contrast blue collar, ARROW. Silk shorts, EP ESPADA. striped stilettos, ARAM LOE. cut-out button down shirt, MARITHE FRANCOIS GIRBAUD. 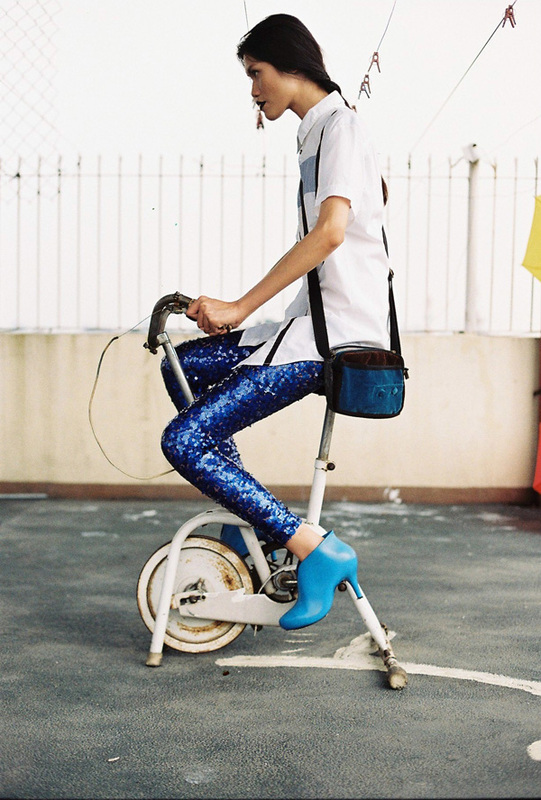 Sequined leggings, KENNETH CHUA. blue stilettos, ARAM LOE. azure and rust corduroy sling bag, YADU.